We refer to Academic Integrity as the overflow of the students own integrity reflected in their work. Their work needs to reflect honesty and responsibility. Consequently, are expected to provide papers that scholarly honest in its originality. Therefore, referencing sources of information must be clear and according to Global University’s Form and Style hand book. • Students are expected to submit their original work while quoting research references. • They are to be honest in their originality as this is impartaive to the Christian Charter. • Collaborative and cooperative work is to be acknowledged. The guiding spiritual trait of the students is righteousness. 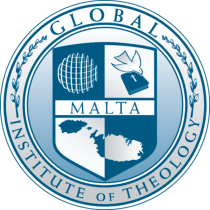 Therefore, academic integrity is not just the cornerstone of Global University, but also the testimony of Christ. The moral values of the students is evidence by academic honesty. Cheating and defrauding is not at all in the spirit of the courses the students are learning. a. using unauthorized notes, aids, or information when taking an examination b. submitting work done by someone else as your own c. copying or paraphrasing someone else's essays, projects, or other work and submitting it as your own. 3. Fabricating: falsifying or inventing any information, data, or citation.